Unbeaten star Terence Crawford really does like as though he is on the way to the top of the pound-for-pound charts and to possible greatness. After wiping out the capable if not great Hank Lundy via impressive 5th-round stoppage last night, the options are plentiful for the reigning WBO super-lightweight king who has already claimed world titles at two weight divisions in his 28-0(20) pro career. And promoter Bob Arum, in speaking with Ring.TV.com, spoke about these possible options; one of which is, quite amazingly, a fight against the Al Haymon-promoted Adrien Broner. 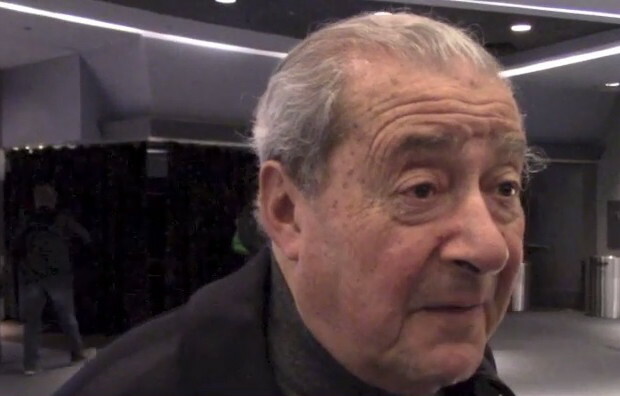 Arum, of course filed a whopping great lawsuit against Haymon last summer, but now the Top Rank boss says he’d “love to” make a Crawford-Broner fight, even if it means working with Haymon. Arum says he is building Crawford into a genuine pay-per-view attraction and that there is no rush with the process. And as long as the magnificently talented Crawford continues to take good, solid challengers as opponents and continues to deliver good action fights, the big bucks will surely come rolling in, for Crawford and for Arum. Arum says his fighter is hitting a lot harder up at 140-pounds compared to down at 135. And Lundy, who did a whole lot of trash-talking in the lead-up to last night’s fight, can only agree. It’s not as though Lundy, now 26-6-1(13) had never been stopped before (he had, but only once prior to last night, by John Molina Jr back in 2010) but he has never been stopped so quickly before. Some people have compared Crawford to the legendary Thomas Hearns, a class act who could punch extremely hard and also box like a master. The comparison to Hearns is a very complimentary one, but Crawford does look as though he is good enough for the compliment. Hearns, as we know, went up though six weight division s during his career. Crawford has beaten top lightweights, he is now seeing off quality 140-pounders and a move to welterweight and maybe, as he stands 5’8”, even super-welterweight, could be on the cards before he’s done. Both Broner and the always-exciting Provodnikov would be interesting challengers for Crawford, but you won’t likely find too many fans willing to bet on them derailing the man from Omaha, Nebraska.